Kids are sick, it’s cold outside, and we’re all bundled up inside trying to keep warm. 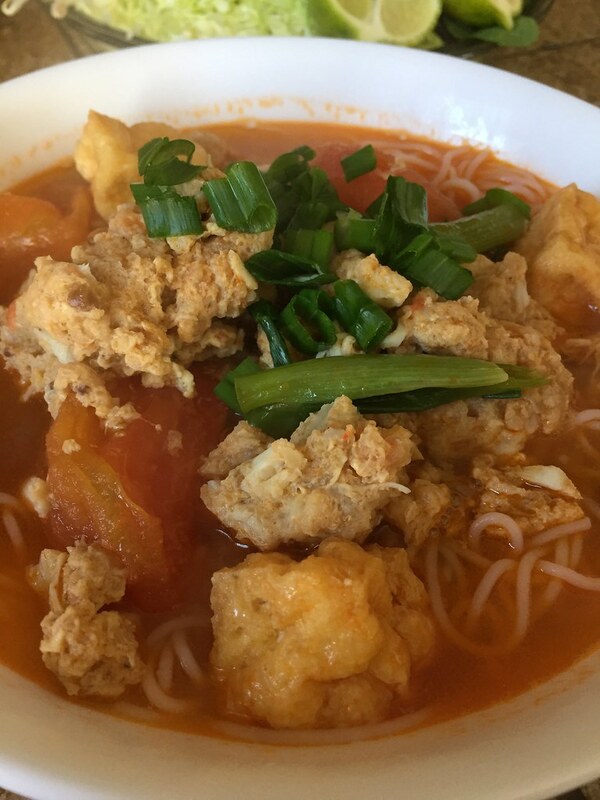 To help them quickly recover from their Winter cold, I made them one of their favorite Vietnamese noodle soups, Bun Rieu, to make them happy and warm up their bellies. 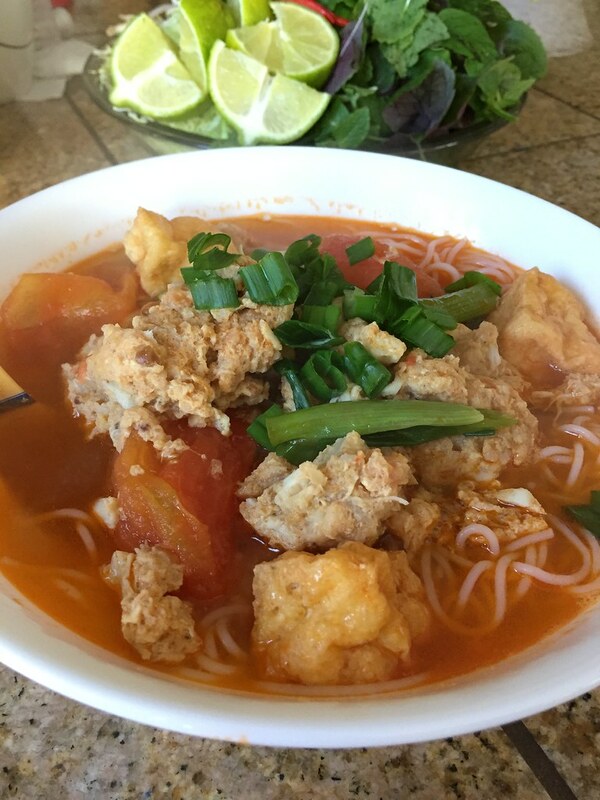 Bun Rieu is a Vietnamese Crab Vermicelli Noodle Soup,which starts off with “Rieu,” a crab and shrimp mixture combined into a paste, cooked in a robust tomato broth. The hot broth is ladled over a bowl of fresh vermicelli noodles, then topped with pork blood, tofu, and fresh veggies to complete the Bun Rieu experience. I’ve been watching my mom make this for years and finally attempted to start making this on my own. The first time I made this, I didn’t use enough corn starch to hold the rieu and it just broke part when I scooped it into the broth. In my second attempt, I added a little more corn starch and it helped hold the rieu together better and didn’t break apart. Mother even come over and ate a fresh bowl of Bun Rieu and had only positive things to say about it. That’s cool with me! Next time, I will probably figure out how to cook fresh congealed pork blood and add it to my Bun Rieu. Note: This recipe makes A LOT of rieu. You can make all the rieu, but still reduce the recipe in half. To do this, reduce the broth and veggies in half and use only half the rieu. Freeze the other half of rieu and make Bun Rieu again another day. In a large stock pot, bring chicken stock to a boil. During this time, heat a small skillet on medium heat, add oil, and fry tomato paste for about 5-7 minutes. Transfer tomato paste into the stockpot. Stir until tomato paste is dissolved. To make the Rieu, mix shrimp, dried shrimp, eggs, corn starch, canned minced crab in spices, crab paste with soya bean oil, and shrimp paste. 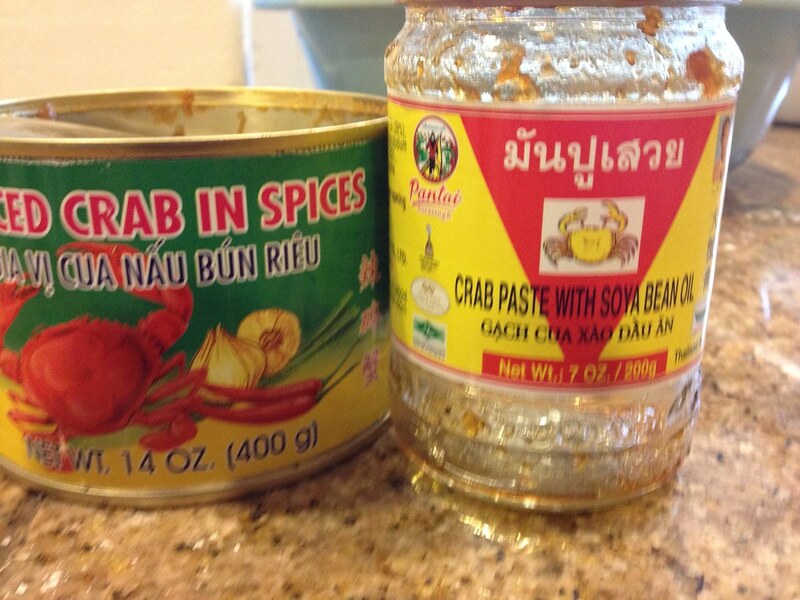 After these ingredients are thoroughly mixed, gently fold in lump crab meat. Once the broth is boiling rigorously, turn the heat down to medium high and use an ice cream scooper or big spoon to slowly scoop the rieu into the broth to cook for about 20-25 minutes. 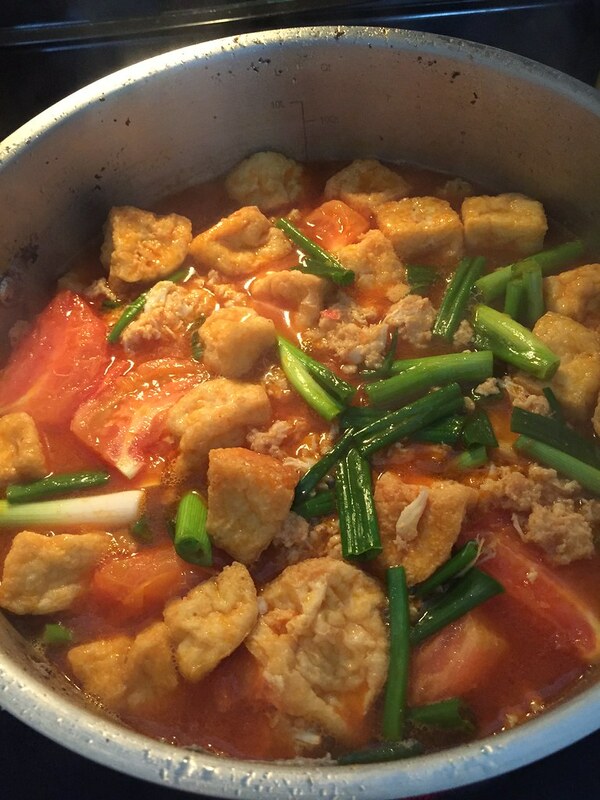 Add tomatoes, tofu, and green onions into the stock pot. Adjust seasoning with extra shrimp paste and/or salt to taste. Assemble vermicelli bowls and ladle in broth. Add fresh herbs and enjoy.